Perhaps one of London's loveliest leafy expanses, Brockwell Park has become a mecca for fun-loving kiddies. Often termed "Brixton's Beach", the park is remarkable for its large lido, now one of the few remaining outdoor swimming pools in London. It is an ideal place to take a dip in the summer and catch some rays. There is also a safe paddling pool for the smaller tots to splash around in. In 2003, a meticulously built miniature railway was opened. Kids can jump aboard at weekends and explore the park for just a pound. Both this and the lido are only open in summer months. There are also six public tennis courts. Brockwell Hall is a handsome Regency lodge occupying the park heights. Many a scone can be consumed here in the suitably twee tea-room. The shaded arbour in the English walled garden is also a blissful place to catch your breath and watch the world go by. Brockwell Park gyms, sporting activities, health & beauty and fitness. 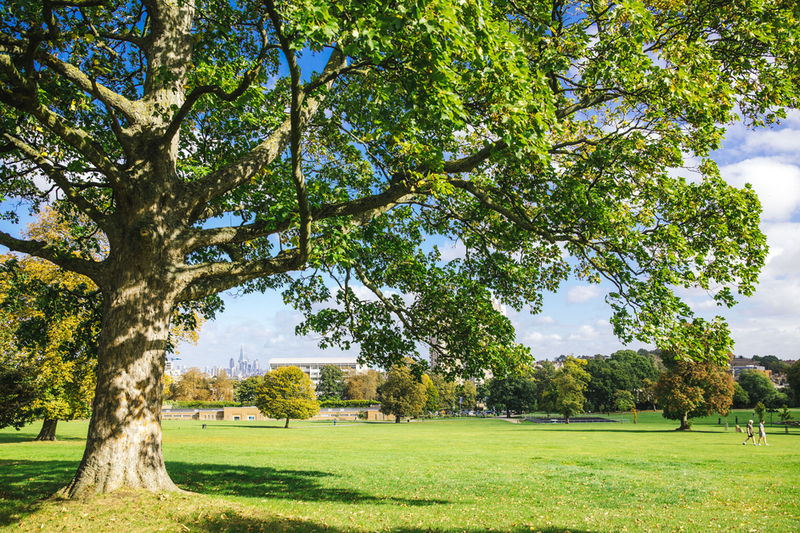 What are the best dining options near Brockwell Park London? The best pubs near London Brockwell Park. Brockwell Park clubs, bars, cabaret nights, casinos and interesting nightlife. Where to have your meeting, conference, exhibition, private dining or training course near Brockwell Park. From cheap budget places to stay to luxury 5 star hotels see our deals for Brockwell Park hotels, including Holiday Inn Express London- Vauxhall Nine Elms from 71% off.